Thank you to all who have participated in the survey and consultation sessions. The Independent Pricing and Regulatory Tribunal (IPART) approved the continuation of the 6% Sustaining our City Environmental Levy on 3 June 2014. Have a look at their media release announcing the decision. You may also want to see a summary of Council's survey results and a list of projects to be funded by the levy. This community consultation was about hearing your views about whether to continue an existing 6 per cent environmental levy which funds Randwick’s Sustaining Our City program. Sustaining Our City delivers specific environmental improvements and sustainability initiatives across Randwick City, including upgrades to the Coastal Walkway in Maroubra, La Perouse and Clovelly, solar panels on community buildings, stormwater harvesting in local parks, the Eco-living Fair and much more. You can find out more about the achievements of the environmental levy, what we're planning for 2014-2019 and how it affects your rates by downloading our Information Sheets. From 9 September to 7 November 2013 we conducted a survey, gave opportunitites to make a submission and enter our discussion forum to tell us whether we should continue our environmental levy for another five years so we can keep delivering these important environmental initiatives. The environmental levy which funds Sustaining Our City was first approved by Council in 2004, and has successfully transformed the way sustainability projects and programs have been implemented across Council and the community. Due to this success and ongoing community support, the environmental levy was extended for another five years in 2009, and is now due to expire in June 2014. Over the past 10 years, Sustaining Our City has produced significant reductions in our own consumption of natural resources, delivered upgraded and new infrastructure, and implemented major stormwater harvesting projects that have saved millions of litres of water and almost a $1 million a year in water charges. Other successful initiatives include free community workshops and events on everything from composting and worm farms, to sustainable and balcony gardening, improving recycling, bike maintenance, bringing birds to your backyard, saving money on your energy and water bills and even keeping chooks. We wanted your feedback on whether to continue our environmental levy for another five years so we can keep implementing these important environmental initiatives. Do you think we should continue the environmental levy for another five years? The environmental levy has funded our highly successful Sustaining Our City program for ten years, allowing us to focus on saving water and energy, reducing waste and greenhouse gas emissions, and helping our community to do the same. What do you think about the environmental levy? Tell us what you think about the environmental levy and the initiatives and programs it has funded over the last ten years. Have you participated in any of the activities? What did you think? 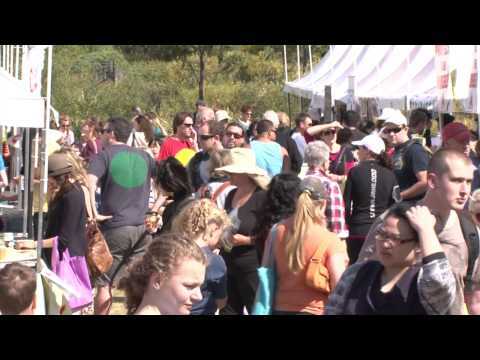 Click here to play video Eco-living Fair 2012 Watch this video about our popular Eco-living Fair which attracts over 6,000 visitors every year! 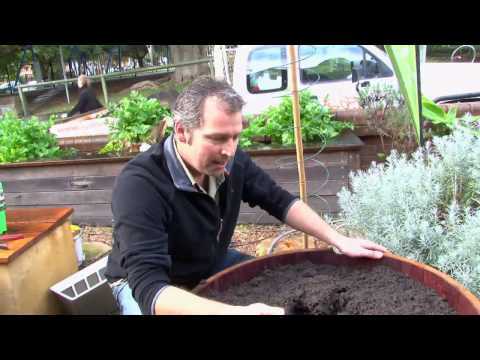 Click here to play video How to make a wicking bed container food garden Landscape architect and permaculture designer Steve Batley gives a run-down on how to make a wicking bed container food garden. This video was shot at Barrett House in Randwick and is proudly supported by Randwick City Council, Waverley Council and Woollahra Council.